Newbridge (aka New Bridge) is a Grade 2 listed bridge built at the same time as nearby Holne Bridge, during the 1410s. 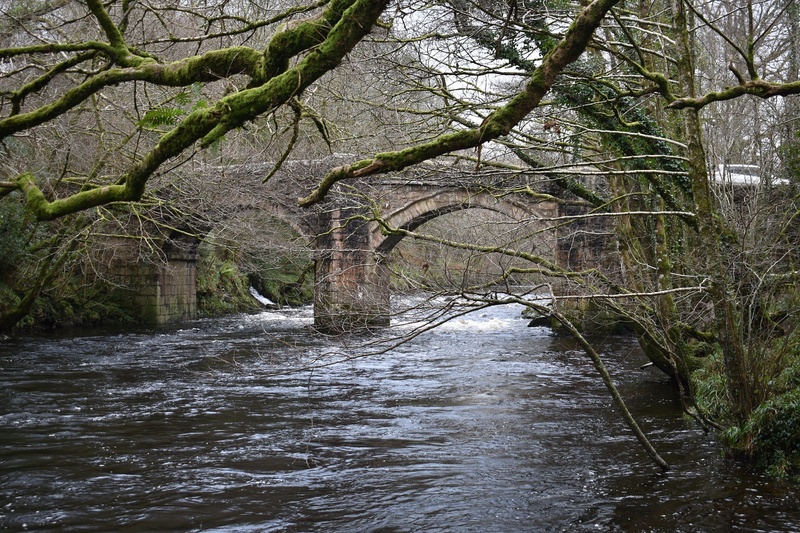 This structure spans the River Dart between Poundsgate and Holne Chase. 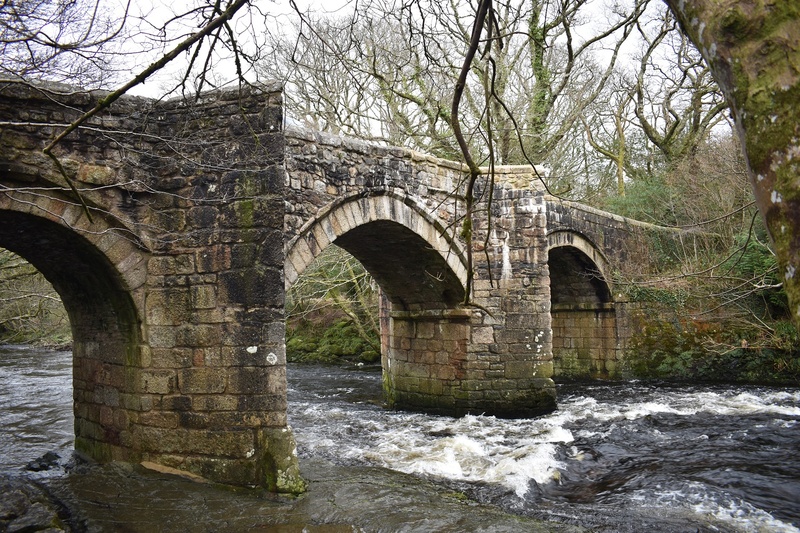 There are three arches to the bridge, one smaller than the other two and they have a triangular point to them to aid the flow of water as well as providing pedestrian refuges on the road above. 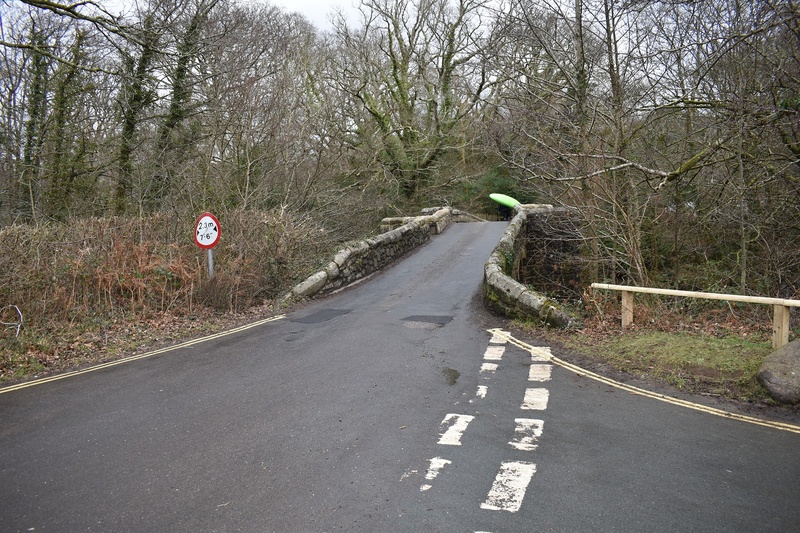 The road bridge itself is very narrow and not suitable for large vehicles in a similar way to Holne bridge further upstream. 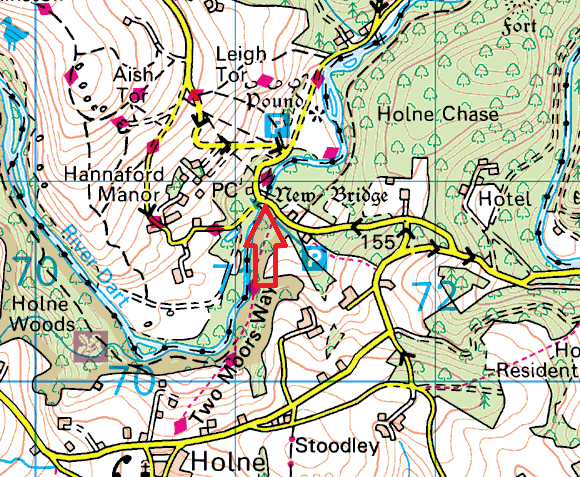 The car park next to the bridge is extremely busy with walkers and canoeists and they use New Bridge as a starting/finishing point for their adventures.